1. People have the perception that the HR Department is just the place you go to get hired or fired. Today, HR should be responsible for a wide range of employee activities, most of which center around enabling, engaging, and empowering employees. HR should be the major players in creating employee experience, which works with an organization’s culture and growth and ensures that employees feel valued and supported along every step of their workplace journey. 2. The HR Department is seen as being the people within the Agency who enforce the rules, HR representatives need to be thought of as mentors and thought leaders. Employees are scared of interacting with HR employees for fear that they would get in trouble for doing something wrong, but that mentality has to shift towards viewing HR employees as the people to go to with suggestions or feedback of how to improve employee experience and to gain insights into how to better your career. 3. The HR Department is always thought of as the place that keeps the Agency humming along and that was resistant to change. HR is should be responsible for obliterating the status quo to keep the Agency moving forward. HR should be the driving force in building a cohesive work environment where employees are happy and growth can happen. 4. HR needs to evolve into a more central role in the Agency where it has a key seat at the decision-making table. 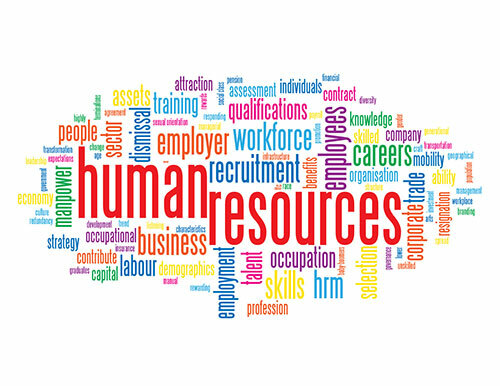 HR is more involved than ever with other departments and often has its hands in many baskets through the company. 5. The HR Department should do so much more than just work through payroll and compensation. Instead of focusing on the basic needs of employees, it should focus on building a great experience where employees want to come to the office and do their best work. With a great corporate culture, employees show up to work for more than just the paycheque. 6. As the workforce changes, HR’s approach has to also change improve and enhance the employee experience. Which means the department should constantly be getting new points of view, which it can use to create a more cohesive work environment. 7. HR has to evolve, by having more interaction with employees and playing a larger role in the day-to-day activities and responsibilities of workers. Instead of focusing on employee inputs and what it takes to get the job done, HR has to focus on employee outputs and how it can encourage employees to do their best work possible. 8. HR needs to view Employees as vital parts of the organization that they can’t live without. They are what drives everything HR does, and they play a huge role in the department’s success. What HR does has to depend on what employees want and can meet their individual needs. 9. HR has to be involved in the everyday employee experience more than ever before. Much of this should come from real-time employee feedback with regular check-ins instead of annual performance reviews. With more applicable feedback, HR can create a dialogue with employees where they feel comfortable hearing ways to improve and are open to making suggestions of their own. 10. Agencies should move from traditional HR titles like Chief Human Resources Officer to Chief Experience Officer or Talent Manager. This shows an expanded scope of HR and how it is involved in many more areas of employee experience. Making sure the talent feels important and that the HR team is working with them.